Crawley, West Sussex: SJK Products, Crawley-based manufacturers of the award-winning waterless car cleaning product Miracle Drywash (the new way to wash and polish the exterior of your car, caravan, yacht, motorbike) today announced the addition of a new waterless product to its range: The Miracle Drywash Valeting Kit. Intended for serious car enthusiasts, the Valeting Kit, in addition to a 500ml bottle of Miracle Drywash includes a 500ml bottle of Tyre & Bumper Shine, two cleaning cloths, a detailing brush and eight Interior Wipes. As well as being a waterless cleaning product, Tyre & Bumper Shine – the easy way to shine tyres on your car, caravan or motorbike - has also been specially designed to be friendly to the environment: unfortunately a claim that most tyre cleaning products currently on the market cannot make. “Our new Valeting Kit is for those who take the cleaning of their car seriously. The kit contains everything you need to do a thorough job. In fact, the only thing it doesn’t provide is a vacuum cleaner! Priced at £24.99, The Valeting Kit would make a great present for anyone (such as a parent or grandparent) who takes pride in the cleanliness of their vehicle. On that note, as a Christmas special offer, if you buy 3, we are giving the 4th kit away free. It doesn’t contain any nasty chemicals either, so you’re not harming the environment when you use it,” says Tim Jones, Chairman, SJK Products. http://www.miracledrywash.com/purchase.php and the original Miracle Drywash is also now available from the 10 largest Marks & Spencer stores throughout the UK, as well as online in their Greener Living Shop. Miracle Drywash, manufactured by SJK Products Ltd in Crawley, West Sussex, is a totally waterless washing and polishing system – a revolutionary way to both clean and polish your car, boat, motorbike, or any other metal, glass, or painted surface - with only a single application of the product. It both prevents pollutants and detergents from entering the river system and each bottle saves 1 ton of water. The product was endorsed by South East Water in 2006 and was awarded the prestigious Waterwise Marque in 2007 for its contribution towards saving water in the UK. The company, SJK Products, was co-founded by SJ Khebbal, CEO and Tim Jones, Chairman in 2004. San Francisco and London: Software Shelf International today announced the launch of Print Manager Plus Release Station 2008 which helps protect the physical privacy and confidentiality of printed documents within the health care industry. The software aids compliance with Health Insurance Portability, the Accountability Act (HIPAA), European Data Protection Rules and other Data Protection legislation designed to protect individuals’ rights to privacy and confidentiality. The product is an add-on to Software Shelf’s market-leading print management tool, Print Manager Plus. The software is intended for use by hospitals, clinics, health care providers, health care plans, Medicare and Medicaid programs, health care clearing houses, billing services, community health information systems and IT shops supporting these organizations who must satisfy the privacy and security rules issued by the U.S. Department of Health and Human Services and similar agencies worldwide dedicated to patient privacy and confidentiality of printed information. Penalties for violation of patient privacy can be severe. Release Station 2008 makes it easy for users and handlers of confidential information to print out whatever they need without the risk of it being seen by anyone unauthorized to do so, even when printed from a workstation distant from the printers themselves. Release Station 2008’s key security feature requires that the release of the job can only take place when the user (or his authorized agent) - physically present at the printer – has entered his Active Directory or other user name and secure password. Only then will the confidential document print itself out. Consequently, this feature also prevents stacks of wasted paper sitting at the printer at the end of the day. Once the product is installed, it operates as a native extension to Windows. Its ease of use has made it the most functional and cost-effective print management, print control and print security software on the market today in terms of technical stability, quality and cost. "The usual way of working is that documents are created through a third party application or by dictation: users can create hundreds of such documents a day. When these need to be printed, HIPAA regulations necessitate that the user disrupt his or her workflow to retrieve each document, one by one. The reality is that many print-outs sit in the output tray of a printer (in an insecure state) for hours before they are actually retrieved. As well as a security risk, this way of working can also cause substantial loss of productivity. Release Station 2008 is the solution to both of these problems,” says Diana Shields, Corporate Manager, SSI. The product meets the needs of any sized provider organization and it not only addresses HIPAA requirements and similar Data Protection rule provisions, but it also maximizes allowable cost recovery, controlling access to color output and preventing wastage of materials, costs and staff time. Print Manager Plus features include a complete print audit and print accounting trail for every print job with hundreds of reports available on print usage by user, group, department and costs, as well as the ability to set numerous kinds of print restrictions for nearly every print control scenario imaginable. Print Manager Plus Release Station 2008, which is a native extension of the Windows operating system with seamless Active Directory integration, supports all brands and sizes of printers and plotters and printing from any operating systems where printing is through a Windows Print Server. Print Manager Plus is verified and logo-certified by Microsoft and has been featured by Microsoft as the Public Sector “Solution of the Month” for 18 months in a row. Software Shelf was established in 1994 in Silicon Valley by William Feeley. Its flagship product, Print Manager Plus, is used by thousands of organizations worldwide, including: University Hospital Birmingham, UK, Yale University, Oxford University, Capital Blue Cross, Shriners Hospitals, Public Health Laboratory of Quebec, Ministry of Health Ontario, and Mid Atlantic Medical Services. The company provides free tech support (in 13 languages) from its offices in the US and UK and from its more than 150 partners and resellers in over 60 countries. Software Shelf was awarded the Hewlett-Packard Outstanding Partner of the Year Award in 2007. Software Shelf and Print Manager Plus are trademarks owned by Software Shelf worldwide. If I missed any people or places out, please let me know. San Francisco and London: Software Shelf International, Inc. today announced the launch of Print Manager Plus Release Station 2008, an add-on to their market-leading print management tool, Print Manager Plus. Release Station 2008 comes with credit card and PayPal integration which means that users can now easily pay for each individual job they print, or top up their own print accounts, using PayPal or their credit card. This is a 100% web-based print management (as well as print accounting and print control) system which has been molded to fit any library or computer lab environment for ease of use and complete affordability. Users can monitor, hold and complete payment in one easy click. One uses the web-based Release Station interface to allow a patron’s job to be printed, and no extra hardware or cash machines are needed. Once the product is installed, it operates as a native extension to Windows. Its ease of use has made it the #1 Print Management software on the market today in terms of technical stability, quality and cost. This new tool is ideal for organisations that provide central networked printing (through a printer server or workgroup), such as schools, libraries, internet cafés or anywhere that offers a printing service. Lack of control and accountability in this area can become a major drain on finances. Implementation of Print Manager Plus Release Station 2008 can save an organisation substantial amounts in paper and ink as well as in administrative manpower. An added benefit of the system derives from the fact that management of the users’ printing accounts is done by the users themselves, thereby reducing administrative and accounting demands on library or school staff. • Secure printing: Increased security for the user since the print job only starts to print once it is paid for – via a workstation located by the printer. This also prevents the stack of wasted paper sitting at the printer at the end of the day that no one ever came to collect. • Approved/Managed printing: When a user sends a print job to the printer, a pop-up message appears on their screen asking them to see the teacher or person at the front desk (as in a library) who will release their job upon receipt of payment, if required. • Account Balance Management: With the new credit card & PayPal integration, management of the users’ printing accounts can now be done by the user and so reduce administrative costs. Users can pay for individual jobs themselves or add credit to their account balance if they run out while using the Release Station option. Print Manager Plus Release Station 2008, which is a native extension of the Windows operating system with seamless Active Directory integration, supports all brands of printer and prints from all operating systems, where printing through a Windows Print Server. Print Manager Plus is verified and logo-certified by Microsoft and has been featured by Microsoft as the Public Sector “Solution of the Month” for 18 months in a row. flagship product, Print Manager Plus, is used by thousands of companies, schools, libraries and government offices worldwide, including: Yale University, Harvard University, Oxford University, Morgan Stanley, British Library and Microsoft. The company provides free tech support (in 13 languages) from its offices in the US and UK and from its more than 150 partners and resellers in over 60 countries. Software Shelf was awarded the Hewlett-Packard Outstanding Partner of the Year Award in 2007. Software Shelf and Print Manager Plus are trademarks owned by Software Shelf worldwide. London, December 2007: ASOS.com Beauty is the one stop shop for Christmas beauty treats. Christmas 2007, sees the arrival of kitsch brand Cath Kidston which joins the e-tailer’s already impressive line-up of beauty brands. 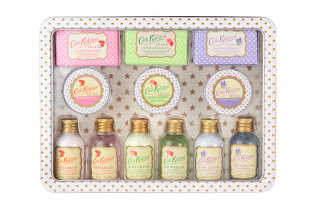 The Cath Kidston beauty collection comprises gorgeous gift sets and cute candles, all featuring Kidston’s signature vintage-inspired prints and available in a range of beautiful fragrances including Lemon & Geranium and Lilac & Lavender. Also new for Christmas 07, ASOS.com is stocking a selection of exclusive gift sets. First up is ‘La Petite Black Dress Eye-sentials’ from Bourjois containing five eye make-up must haves to create the perfect sultry-eyes. Funky brand Anatomicals offers a quirkier take on beauty. Their exclusive hands and feet or lips and eyes duos contain products with cheeky names such as ‘No Old Bags Allowed’ eye gel and ‘Help The Paw’ hand cream. Celebrity favourite brands Korres and Ole Henriksen have a range of gifts to see party girls through the festive season. Pre-party, pamper yourself with the deliciously scented Korres ‘Fig Body Set’ which uses natural ingredients to nourish and protect the skin, whilst Korres ‘Party Survival Kit’ will get you through the endless party circuit looking faultless. 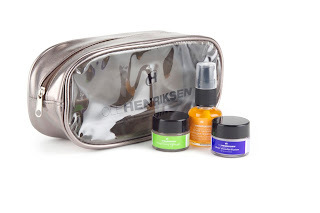 For those suffering from post-party fatigue, Ole Henriksen’s ‘3 Little Wonders’ kit, which contains the brand’s hero product ‘Truth Serum Collagen Booster’ provides the instant complexion reviver. Pretty make-up palettes from Too Faced, Urban Decay and POP beauty will look great on the dressing table and also include the hottest colours to re-create the A/W catwalk looks. A touch of Christmas sparkle comes from POP’s glitter must-have, which is perfect for girls who like to shimmer. For true beauty addicts, Too Faced offers a delightfully tongue-in-cheek ‘Fantastic Plastic kit’. Billed as ‘Your plastic surgery alternative’, the kit features Too Faced’s bestselling Lip Injection, Lash Injection and Wrinkle Injection for a pain-free beauty boost. 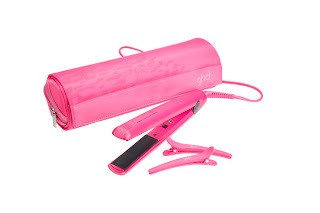 Treat someone special to the ultimate indulgent gift - the GHD Pink Kit which contains the limited-edition Hot Pink styler and a set of straightening clips all nestled in a chic, heat resistant carry case. £10 of every sale goes directly to Breakthrough Breast Cancer. Launched in 2000, ASOS.com is firmly established as the UK’s leading online fashion store. ASOS.com offers an extensive range of own-brand women’s and men’s fashion, designer labels, lifestyle accessories and cult beauty brands. ASOS.com is the second most visited online clothing store in the UK attracting over 2 million unique visitors per month, and has received numerous awards such as Drapers E-tailer of the Year 2006, Retail Week Online Retailer of the Year 2007, and Business XL Company of the Year 2007, to name a few. London, Nov 2007: ASOS.com announced the launch of ASOS Christmas LUXE, a series of ornate dresses, tops, shoes and accessories perfect for the party season. Mazarine, the Christmas ASOS LUXE collection heavily references the nature-inspired motifs of art nouveau and the opulence of the 1920s. The collection is designed using luxurious fabrics and special finishes, to create stunning statement pieces. Embellishment reigns supreme with opaque, pearlised and two-tone sequins and beading giving fabric a shimmering, aquatic sense, whilst butterfly and dragonfly motifs continue the nature theme. Base colours include black, and pearl, whilst vibrant fashion shades of purple, rich emerald and flame orange are offset by lilac and gold. The ASOS LUXE accessories complement the clothing but also work as striking pieces in their own right: beaded hard-case clutches and clip frame bags are essential eveningwear accessories. 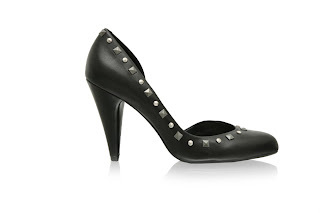 Statement jewellery draws on antique references: set stones, pearls, emeralds and diamante dominate jewellery and shoes. “ASOS LUXE is the perfect capsule collection for the Christmas season with a range of accessories that compliment its glamorous clothing collection,” states Moriamo Oshodi, Head of Womenswear Buying, ASOS.com. Clothing from the ASOS LUXE collection will arrive wrapped in tissue paper and packaged in a fabric tote bag. Prices range from £65 - £75 for a dress, £50 - £60 for a top, £35 - £45 for a bag, £25 - £50 for the jewellery and £65-£70 for the shoes. This press release was submitted to the following sites by me! Harry & I have been featured in East Grinstead's 2 local papers - East Grinstead Courier & East Grinstead Observer. Fame at last! We're just waiting for that phone call. Revolutionary Waterless Carwash System on TV! Miracle Drywash and Fernley appear together on BBC TV! 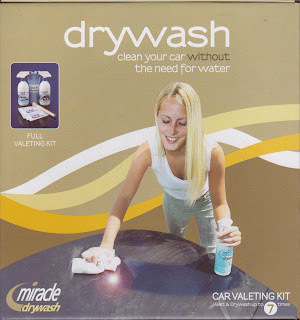 In October, it was announced by press release that Miracle Drywash - the revolutionary way to wash and polish vehicles - was being used by Fernley Gatwick Ltd to clean cars airside initially at Gatwick airport, then at the airports of Heathrow, Stansted, Luton, Manchester, Dublin, Cork, Liverpool and Nice in France, Brussels in Belgium and Amsterdam in the Netherlands. BBC South East Today considered this big news both as a business story (local firm wins big international order) and a good news environmental story as millions of tons of water will now be saved, and thousands of litres of detergents will no longer be entering the river system via storm drains. You can buy the product online here: http://www.miracledrywash.com/purchase.php and it is also now available from Marks & Spencer. The event was being filmed by X2 Productions who happen to also produce the TV motoring show called ‘Pulling Power’. The cameraman saw a demonstration of the product and was impressed with what it could do and how clean AND polished it made the car. So he took a sample of the product to try it out. The verdict: the product is ideal for a film crew on location because they often need to clean their cars but have no access to a hosepipe. And when they do find water, the process of washing their cars with it is a messy business and they can’t do it in direct sunlight either. They loved Miracle Drywash and hope to do a report on it in a future programme! 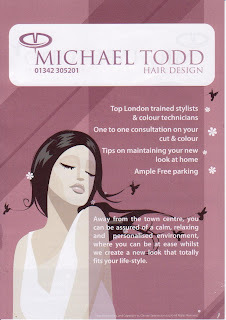 East Grinstead, West Sussex, UK: To mark the name change of Michael Todd's East Grinstead-based Hair Salon (from Phase II Hairdressing to Michael Todd Hair Design), owner Michael Todd and the East Grinstead Courier have teamed up to offer a chance to win an exciting makeover worth £250! 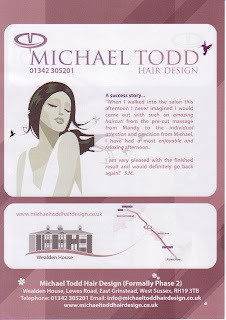 Michael Todd Hair Design, set in the beautiful surroundings of Wealden House, offers personal one-to-one consultations before any hair preparations begin, and up-to-the-minute cuts and colours with expert advice on how to help maintain that “just stepped out of the salon” look. Owner, Michael Todd, is London-trained and has been working in the industry for over 20 years. He says that the best and most satisfying part of what he does is seeing the amazing positive effect that his clients enjoy simply by having their hair restyled. The salon enjoys an abundance of free parking right outside the door. All you have to do to be in with a Chance of winning this prize is to write a poem or rhyme as to why you would like a makeover. Michael Todd himself will read every entry and decide which one should receive this lovely prize. "The degree that you can improve a person's appearance and consequently their self-esteem and self-confidence by simply improving their hairstyle and makeup still amazes me to this day - and I've been doing it for 22 years!" says Michael Todd. or e-mail your poem/rhyme with your details from the coupon and send it to competitions@courier.co.uk by Friday 23 Nov 07. 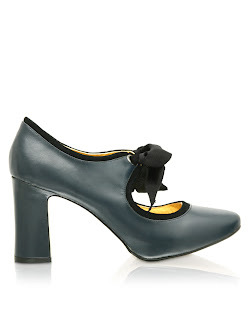 London: ASOS.com announced today the launch of fashion shoe brand, Shellys – now available online with ASOS.com. 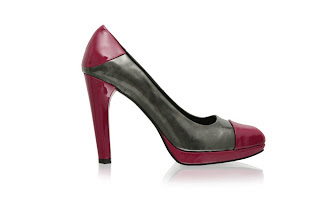 Shellys Shoes is a wholly-owned subsidiary of Stylo plc, based in Bradford, West Yorkshire, with a local head office in Oxford Circus, London putting it at the heart of the UK fashion industry. There are currently 7 Shellys stores throughout London and the UK and concessions in selected Barratts Shoe stores. The Shellys collection is all about leading fashion incorporating all the latest footwear trends as well as stocking leading fashion footwear brands. CEO Bill Feeley talks about Software Shelf’s Print Manager Plus, used by both companies as well as schools and colleges to account for, track, and reduce toner and paper costs, and to bill these costs back to customers. It is fast becoming the standard for any Windows network administrator wishing to control and manage a printing enterprise. It is not only a pure software solution, it is also the only such product on the market “native” to the Windows operating system, seamlessly integrated with Active Directory and operating as an extension of Windows. Universal Republic band Godsmack will release their widely anticipated Greatest Hits album, Good Times Bad Times....Ten Years of Godsmack on December 4. 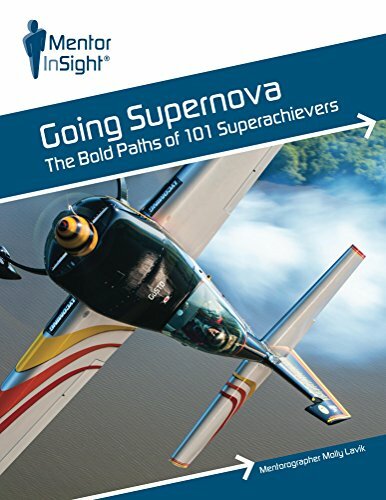 The 16-track collection is loaded with career defining milestones and seminal Godsmack classics. Among the groundbreaking songs included are the band's clarion call "Whatever," their breakthrough #1 rock mainstream smash "Awake," "I Stand Alone" (2002's most played rock radio song of the year), "Speak," (the #1 rock cut from their 2006 album Godsmack IV), and a rare, bristling Godsmack cover of Led Zeppelin's classic 1969 debut single "Good Times, Bad Times." Considered one of the definitive alternative hard rock bands of the modern era, the Boston based group stormed on to the music scene in 1998 with their masterful self-titled debut album, and have never looked back. The only rock band to have scored 13 Top 10 hits in the Active Rock format, their most recent album, Godsmack IV, became another platinum-plus trailblazer for the formidable foursome, debuting at #1 on the Billboard Top albums chart (their 2nd #1 debut following 2003's Faceless) and harking back to the thunderous arc of multiplatinum masterpieces like their 5 million selling breakthrough debut album and 2000's Awake, as well as the more subtle flexing heard on their 2004 acoustic EP The Otherside. 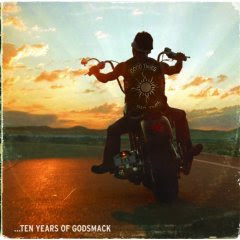 Fronted by charismatic and uncompromising singer/songwriter Sully Erna, 2008 will mark the tenth anniversary of Godsmack's self-titled debut album; in honor of that occasion, Good Times Bad Times....Ten Years of Godsmack encapsulates some of their most captivating and enduring hits. In the past decade, the unflinching Godsmack has enjoyed an incredible run, selling more than 12 million albums - highlighted by scores of sold-out international concerts, stages shared with legends, a remarkable 16 hit singles, 4 platinum records, 1 gold EP and three Grammy nominations. Known for their fierce touring regimen, Godsmack also established one of the most memorable live arsenals in rock, having been regulars at past Ozzfests, appeared at Woodstock '99, toured with Metallica, and headlined their own arena juggernauts throughout the world. Godmack's releases include Godsmack (1998), Awake (2000), Faceless (2003), The Scorpion King soundtrack (2002), Otherside EP (2004), and Godsmack IV (2006). 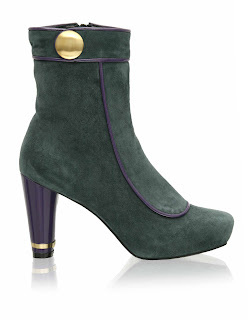 London: Launched this month, Oasis is yet another exclusive for ASOS online. It is the first time that Oasis clothing and accessories have been available outside of Oasis's own retail outlets and website. The collection offers a variety of fashionable, wearable styles with great quality, value and unique design for customers. 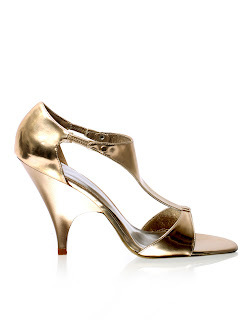 ASOS.com has invested in 38 styles across daywear, party wear, casual and work wear. Alongside the main range, ASOS will also be stocking the Little Black Dress collection which Oasis has designed as the ultimate treasurable LBD’s. “Oasis is another exciting addition to our customer offering. The brand has been a favourite on the High Street and will, I have no doubt, now become a favourite online with ASOS.com shoppers,” says Nick Robertson, CEO, ASOS.com. 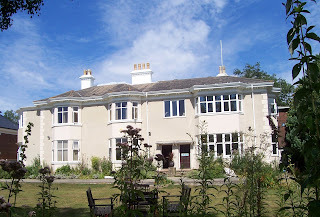 Oasis was founded by Michael and Maurice Bennett in 1991. Following the acquisition of Coast in 1998 and a management buyout in 2001, the Oasis brand continues to grow from strength to strength, operating from 109 outlets and 161 concessions across the UK and the Republic of Ireland, achieving an annual average turnover of £200 million. Oasis creates a carefully considered range of clothing and accessories aimed at fashion conscious 18 –30 year olds. Collections are fashionable, wearable, colourful and are synonymous with quality, value and unique design. Launched in 2000, ASOS.com is firmly established as the UK’s leading online fashion store. ASOS.com offers an extensive range of own brand women’s and men’s fashion, designer labels, lifestyle accessories and cult beauty brands. ASOS.com is the second most visited on-line clothing store in the UK attracting over 2 million unique visitors per month, and has received numerous awards such as Drapers E-tailer of the Year 2006, Retail Week Online Retailer of the Year 2007, and Business XL Company of the Year 2007, to name a few. 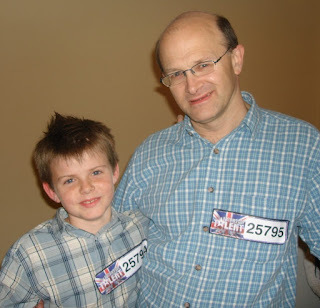 My 11-year old son, Harry, and I entered Britain's Got Talent 2008 as a father & son drumming act. When we were finally let in the building after standing in the very long queue in the cold for 2 hours, everybody seemed to like the idea of a father and son drumming act and they tell us they like our audition piece! What do you think? Have we got a chance? 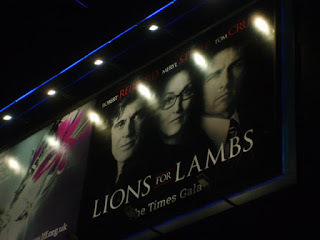 I was very fortunately to have been given a ticket to the World Premiere of Lions for Lambs in Leicester Square, London in the presence of Tom Cruise and Robert Redford, and to the after-premiere party! We had a fantastic time! Click here: http://www.sharenow.com/relations/folders/118/ for more photos and video clips. 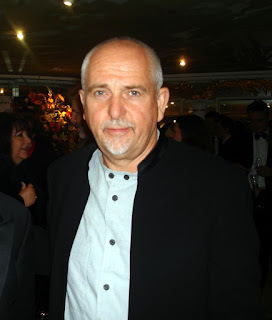 Mike Sherman of the Florida-based Mike Sherman Show was unable to attend the London BMI Awards event, held at the Dorchester Hotel, so ShareNow.com stood in for him to do the red carpet interviews. Drummer Steve Holley (Wings - Back to the Egg) has been a family friend for many years, so it was great to go and see him play in Ian Hunter's band at the Komedia, Brighton on 30 Oct 07. I was a big fan of Mott the Hoople in the 70s so it was a real treat to see All the Young Dudes, Roll Away the Stone and All the Way from Memphis live. As you can see, I was right at the front of the stage! It was wonderful to meet the legendary Ian Hunter too. 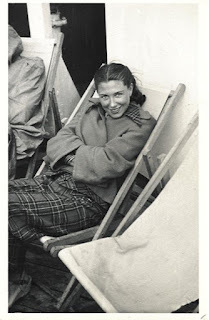 London: It was announced today that fashion label, Coast, can now be purchased from ASOS.com. This is the first time that Coast clothing and accessories have been available outside of Coast's own retail outlets and website. Coast offers beautifully styled and contemporary clothing for special occasions, making it the perfect time to launch the brand in the lead up to Christmas. The collection includes 36 styles across occasion wear, party wear, smart tailoring and day wear. The Coast Christmas collection includes key details such as ruffles, bows, rosette corsages, and tiered layers, whilst fabrics are sumptuous in duchess satin and organza; the perfect party option. “Coast is known for its fashion-led occasion wear, so this pre-Christmas period is the perfect time for Coast to go online to join our already impressive list of brands," says CEO, Nick Robertson. Launched in 1996, Coast is dedicated to creating and providing beautifully designed, quality garments with that added attention to detail. In recognition of this, the collections have won several prestigious awards from the UK fashion industry and Coast have become one of the UK’s most successful occasion wear brands for women. Launched in 2000 by Nick Robertson, ASOS.com is firmly established as the UK’s leading online fashion store and authority on celebrity style. Specialising in fast fashion and celebrity style, ASOS.com offers an extensive range of own brand women’s and men’s fashion, designer labels, lifestyle accessories and cult beauty brands. ASOS.com is the second most visited on-line clothing store in the UK attracting over 2 million unique visitors per month, and has received numerous awards such as Drapers E-tailer of the Year 2006, Retail Week Online Retailer of the Year 2007, and Business XL Company of the Year 2007, to name a few.